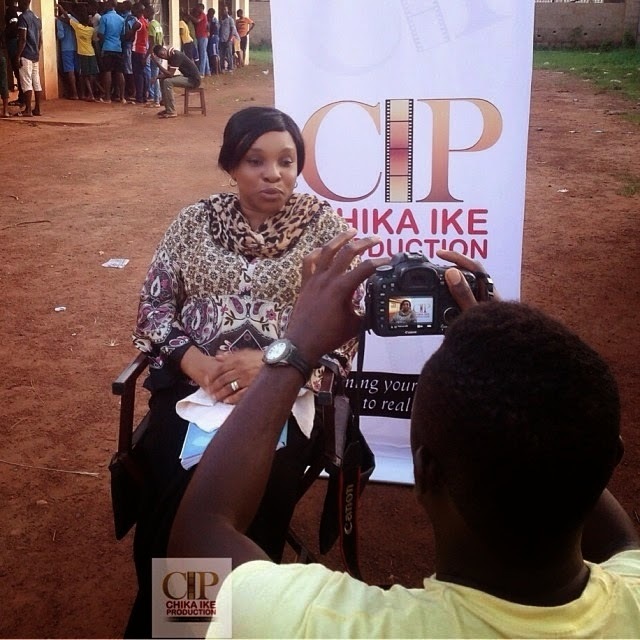 Nollywood’s superstar actress Liz Benson and actor Joseph Benjamin are currently in Enugu shooting the veteran actress in Chika Ike’s first movie. The movie titled ‘Miss Teacher’ is currently being directed by Serah Donald, her manager. Continue reading more on set pictures. Chika Ike’s first movie production project is coming several weeks after she completed a film production course in the United States. To save cost, the actress employed a lot of new faces. The young actors who featured in Chika Ike’s first movie are Amaka Chinemeze, Somadina Adinma and Osita Oluchukwu.